Easter teaches us that those who truly love God need not fear death. Christ suffered and died, then overcame the last enemy -- death itself -- to rise from the grave. He did not rise in people's imaginations. That is the hell of make-believe of adults, and make-believe ultimately leads to despair. Thomas did not marvel at his own imagination or hallucination. He was looking directly at the resurrected Jesus. 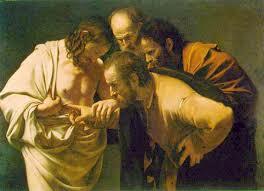 Thomas responded in astonishment and truth, "My Lord and my God!" His revelation went far beyond the words he uttered. Jesus IS God (John 1.1) The resurrected Christ is real and church history tells us that Thomas took the reality of the risen Jesus Christ to India where he was eventually martyred. The earth shaking truth that Thomas declared was embraced by the other Disciples and the early Church that suffered under persecution. It was reaffirmed by the Council of Nicaea 300 years later, and vigorously defended by Christians to this day. 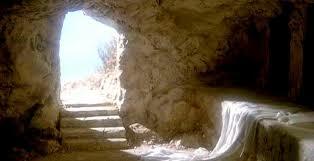 Christ's empty tomb is the cradle of the Church. It is upon the ACTUAL resurrection of Jesus Christ that Christianity either lives or dies. If a man's life is more important to him than being right with God, then the life, death and resurrection of Jesus Christ is offensive. He must deny, deny, deny! God is calling you and me, and every other human being, to repentance and reconciliation with Him through faith in Jesus Christ and the reconciliation that Calvary offers. God loves all humanity so much! He wants us to spend eternity with him. This is the Why of the cross. This the Why of Easter. We accept Christ's resurrection by faith and the testimony of those who saw him after his resurrection. Jesus said to Thomas, "Have you have come to believe because you have seen me? Blessed are those who have not seen and yet have believed." That is you and me and millions of Christians throughout the centuries. We are called to live by faith not by sight. If Christ did not rise from the dead then nor shall his followers. If the resurrection did not occur, then our faith is futile. The Apostle Paul stated this 1Corinthians 15.16-17. If Christ did not rise from the dead then our loved-ones who have died are lost. If Christ did not rise from the dead then all I have known and hold dear is like a house of cards ready to come crashing down around me. The sooner the better -- if Christ did not rise from the dead. If Christ did not rise from the dead then Christianity is nothing more than a cruel hoax and should be eradicated from the face of the earth. death rather than deny it. 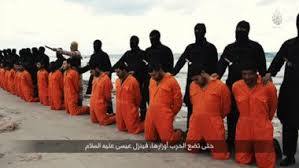 Over 67,000,000 Christians have been martyred throughout 2,000 years. They were crucified, hanged, dismembered, burned, boiled, mutilated, disemboweled, starved, flayed alive, bludgeoned and shot for their faith. In continues and intensifies in this century. It is happening as I write these words.